Bobby pins are the “behind-the-scenes” stars of hairstyling. Often used to conceal shorter strands of hair in an updo or keep things from falling out of place, they’re not often used in a way where they’re purposely visible to the naked eye. 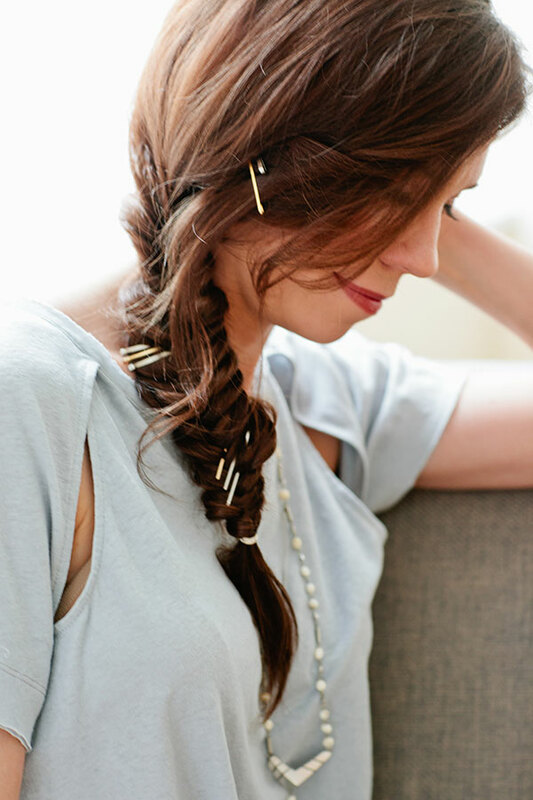 So when we catch sight of a ‘do—a braid, for that matter—that uses bobby pins in an accessorizing, decorative manner, we’re all about giving these little hairstyling superstars the limelight. Aside from floral crowns and headbands placed over beachy, textured waves, braiding is one of the biggest hair trends of music festival season. 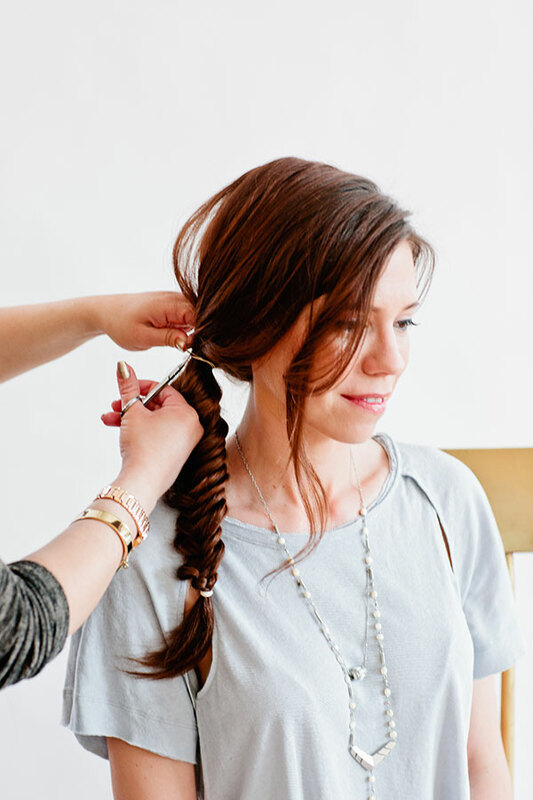 Free People showed us how to intertwine a messy fishtail braid with bobby pins from the brand’s Bobby Pin Tin, using them as the accessory, with this look created by hairstylist Maritza Buelvas of Beauty for Bloggers. Check out her get-the-look tutorial tips below. 1. Use your fingers to brush your hair to one side. Next, spray hair with sea salt spray and tease hair in different sections to add volume. 2. 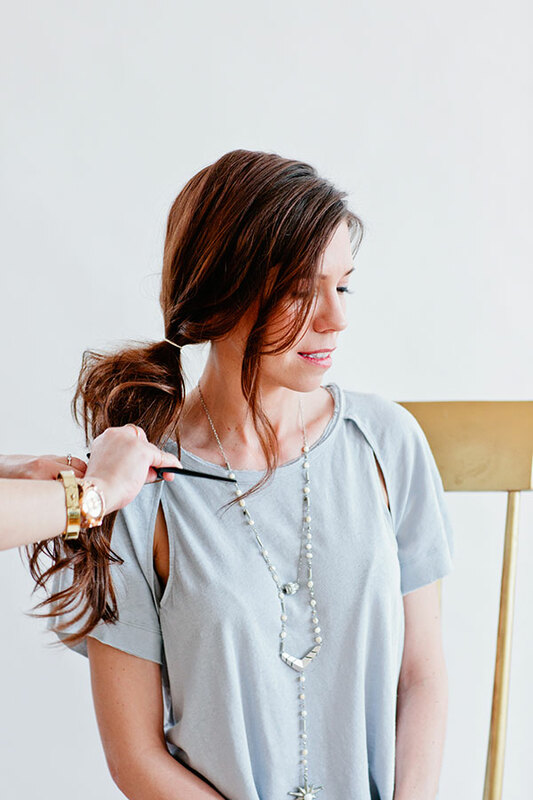 Next, tie the side pony with an elastic band and start forming a tight two-strand fishtail by grabbing hair from one strand and transferring it to the remaining strand. 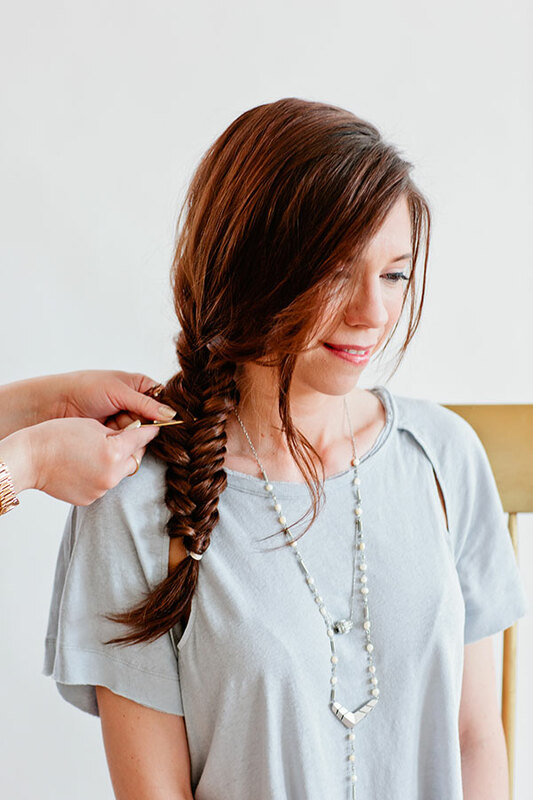 Once you reach the bottom of your fishtail, secure it with an elastic band. 3. 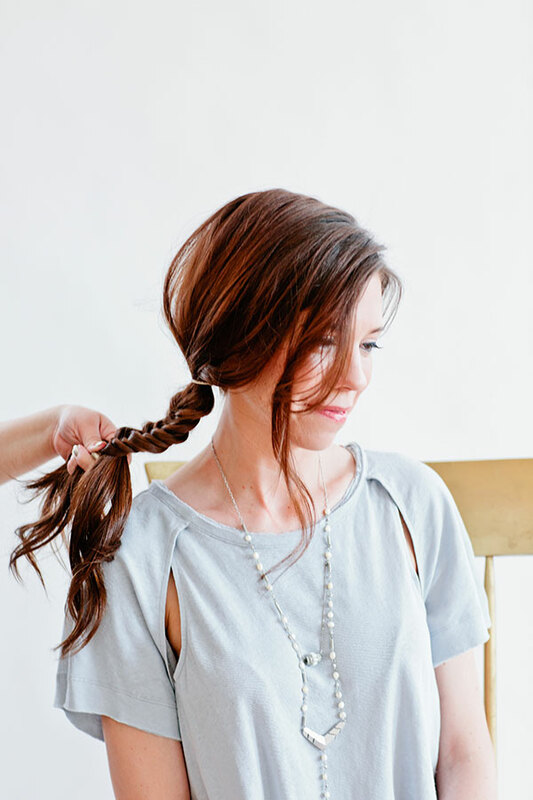 Pull at the sides of your braid to fatten and deconstruct strands (this gives it that messy look). Cut the top rubber band off. 4. Take small groupings of Free People’s mixed metal Bobby Pin Tin sets and place them at the top, middle, and end of your braid. Lastly, frame front fringe with a curling iron and hold a few face-framing strands in place with additional pins.